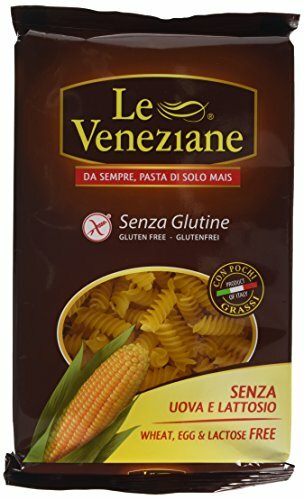 The Le Veneziane corn pasta gets its characteristic golden colour from its rich natural carotenes (vitamin A). This corn pasta has a delicate and gentle taste that allows it to work with any sauce. It taste just as good as (some say better than) regular wheat pasta. Le Veneziane corn pasta embodies Italian pasta making traditions at its best.